Save a Child’s Heart has conducted another joint German-Israeli-Tanzanian Catheterization Mission in the Jakaya Kikwete Cardiac Institute (JKCI), in Dar es Salaam, Tanzania, from January 20th until January 25th, 2018. This mission was only made possible thanks to support from both Ein Herz Für Kinder and Save a Child's Heart U.K.
During this mission, 15 children underwent treatment, more than 30 children were screened and diagnosed, and one critically-ill infant that could not be treated on the ground was flown to Israel just two weeks later for open-heart surgery. The medical team was comprised of: German physicians led by Professor Felix Berger, Director of the Clinic of Congenital Heart Disease and Pediatric Cardiology from our German partner hospital in Berlin, Deutsches Herzzentrum (DHZ); the Israeli medical team from the Wolfson Medical Center (WMC) headed by Dr. Sagi Assa, Head of Invasive Pediatric Cardiology; and our Tanzanian partners at JKCI, a hospital directed by Senior Cardiologist Professor Mohamed Janabi. The first day and a half of the mission were dedicated to a cardiology clinic for Tanzanian children suffering from heart disease. Dr. Sagi Assa led the team that worked together with Dr. Naiz Majani to screen and examine more than 30 children. Dr. Naiz was trained in Israel and is currently the senior cardiac pediatric cardiologist at JKCI. One of the children examined was Jumanne, an infant only 9-months old. During his screening, physicians decided it would be possible to mend the hole in his heart using a catheterization in the coming days. As the medical team began to prepare him in his feeble condition, one of his lungs unexpectedly collapsed. 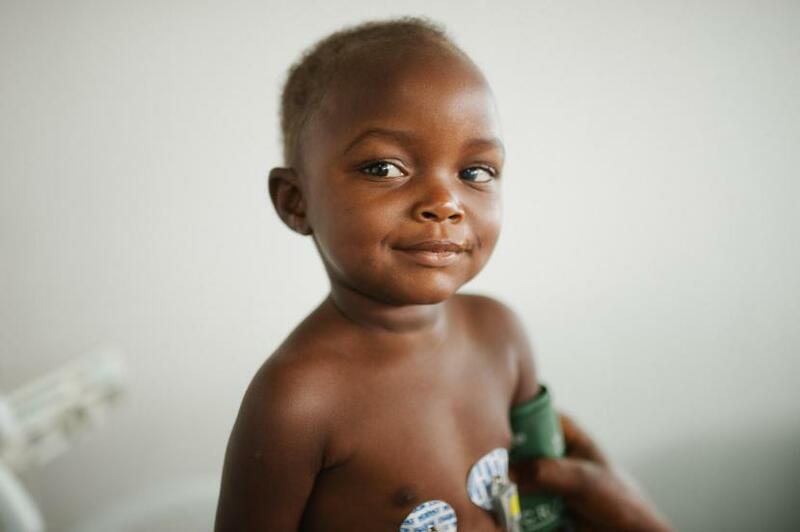 Jumanne was rushed to the Pediatric Intensive Care Unit (PICU), where Dr. Racheli Sion Sarid and Dr. Vivienne Mlawi led efforts to stabilize him. Dr. Vivienne is a Tanzanian pediatric intensive care physician who just returned from Israel after completing two years with Save a Child’s Heart, and Dr. Racheli was one of her mentors, a senior pediatric intensive care physician at WMC. It was unclear whether or not Jumanne’s condition could be stabilized in time to receive the procedure from Save a Child’s Heart, but as many found out during a Facebook live stream of the procedure... His health did stabilize and doctors were able to process days later! His entire journey to a longer, healthier life (examination, diagnosis, preparation, injury, stabilization, treatment) happened in the course of the 6-day medical mission. The medical team had several very important visitors that spent a day at the hospital learning more about the mission and showing their support: Israeli Deputy Ambassador Michael Baror and German Deputy Ambassador Jörg Herrera. The German deputy ambassador to Tanzania invited the teams to a reception at his residence. The leadership of Rotary Tanzania also visited the teams and met with the German, Israeli, and Tanzanian team members. 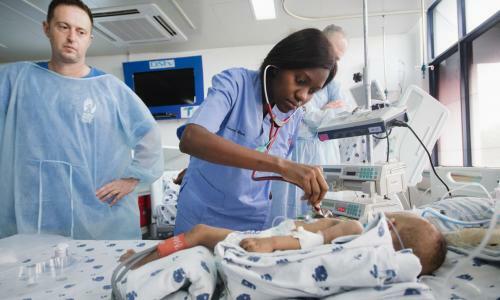 The successes of this life-saving mission were made possible thanks to the hard work and dedication of the medical teams from Deutsches Herzzentrum Berlin (Germany), Wolfson Medical Center (Israel), and Jakaya Kikwete Cardiac Institute (Tanzania). The team from Germany included: Professor Felix Berger, Director of the Clinic of Congenital Heart Disease and Pediatric Cardiology; Dr. Stephan Schubert, Head of Invasive Pediatric Cardiology; Susane Barnebeck, Catheterization Lab Nurse; and Anke Skupch, Catheterization Lab Nurse.